A mentally ill woman who died after a stun gun was used on her at the Fairfax County jail in February was restrained with handcuffs behind her back, leg shackles and a mask when a sheriff’s deputy shocked her four times, incident reports obtained by The Washington Post show. Natasha McKenna initially cooperated with deputies, placed her hands through her cell door food slot and agreed to be handcuffed, the reports show. But McKenna, whose deteriorating mental state had caused Fairfax to seek help for her, then began trying to fight her way out of the cuffs, repeatedly screaming, “You promised you wouldn’t hurt me!” the reports show. Then, six members of the Sheriff’s Emergency Response Team, dressed in white full-body biohazard suits and gas masks, arrived and placed a wildly struggling 130-pound McKenna into full restraints, their reports state. But when McKenna wouldn’t bend her knees so she could be placed into a wheeled restraint chair, a lieutenant delivered four 50,000-volt shocks from the Taser, enabling the other deputies to strap her into the chair, the reports show. Within minutes of being shocked by the Taser, McKenna stopped breathing. The reports show that jail deputies were unable to revive her using CPR and that her heart was stopped for about 20 minutes before paramedics revived her in the ambulance en route to Inova Fairfax Hospital. Her heart then stopped three more times over the next hour before she was stabilized, according to the sheriff’s deputies’ reports. A New York resident died Thursday after police officers put the man, who was asthmatic, in a chokehold before apparently slamming his head on the ground. 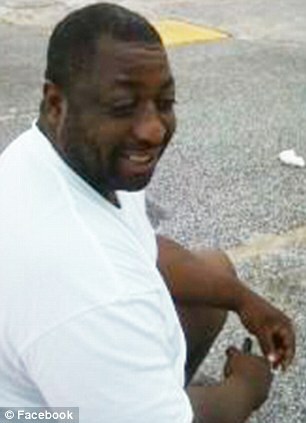 The New York Daily News obtained exclusive video of the incident, which shows Staten Island man Eric Garner, 43, begging officers to let him breathe, as he lies on the ground helpless. Now, his family is demanding accountability from the NYPD. Police said Garner, who was a married father of six children, died of a heart attack, during the arrest, according to The Associated Press. Looks like New York, again, using lethal force against a non violent man. With no reports of mental illness, this is just another case of incompetent police, with an overly-militarized mindset, using overly-lethal tactics, to kill a defenseless man. TIMES DISCOVERS THAT 129 WERE INJURED OVER 11 MONTHS. July 14, 2014. Guards at Rikers Island don’t just neglect the mentally ill or let them bake to death, they also routinely brutally beat them, often without suffering any repercussions, a New York Times investigation has discovered. The Times uncovered a secret report compiled by a city department this year that found that 129 Rikers inmates suffered “serious injuries” in altercations with staff members over an 11-month span last year; 77% of those inmates had a mental health diagnosis. In most cases, the inmates were beaten while handcuffed. When guards found Jose Bautista trying to hang himself, they saved him, but then allegedly threw him to the ground and punched him with such force that they perforated his bowel. It was one of five beatings noted in the report that followed a suicide attempt. Bautista needed emergency surgery, but guards took nine hours to drive him to the hospital—which is only 15 minutes away. When Andre Lane threw water or urine at guards, they allegedly handcuffed him to a gurney, wheeled him to a clinic that wasn’t monitored by security cameras, and beat him so violently that the walls and cabinets were covered with his blood. After Brian Mack complained that guards were stealing inmates’ food, a guard captain allegedly hit him in the eye with his radio, while another officer punched him in the jaw. He came away with a broken eye socket and jaw. Correction officials said he’d been in a fight with another inmate, but investigators noted no such fight was logged in prison records. None of the guards involved in any of the cases have faced criminal charges—or even administrative ones. Rikers has been under pressure to reform its treatment of mentally ill inmates—in January, for example, it announced it would stop putting the “seriously mentally ill” in solitary, though the Times notes that classification applies to a small segment of the population. Last week an oversight board said the newly-appointed city jail commissioner had in June illegally sent as many as 47 mentally ill Rikers inmates to solitary without consulting clinicians, the AP reports. Yet the report also noted a 30 percent increase in the use of force against inmates this year, after De Blasio took over. Sounds like NYC and Mayor Bill De Blasio qualify as Neurofools. 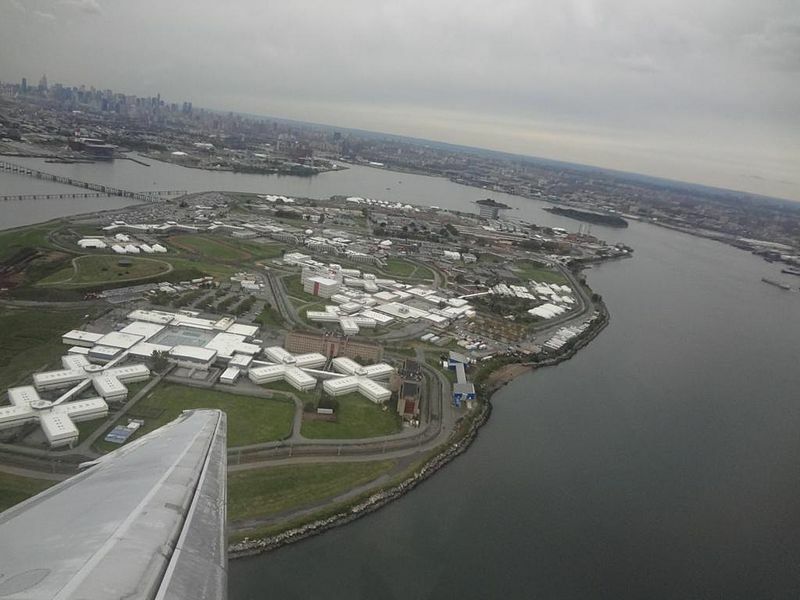 NYC’s Rikers Island holds prisoners for one year or less, thus qualifying as a jail, rather than prison. Police Kill Another Portland Homeless Man. 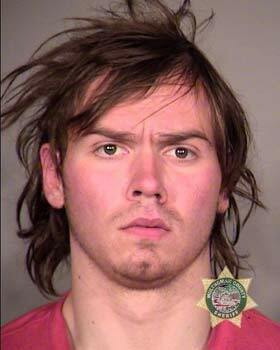 Why was 23-year old Nick Davis, who suffered from schizophrenia, living in the Oregon woods? Could the woods be society’s new treatment plan for the mentally ill? Trees instead of psychiatrists, birds instead of nurses, police instead of social work specialists, bullets instead of pills? In this case, a crowbar was his prescription for death. 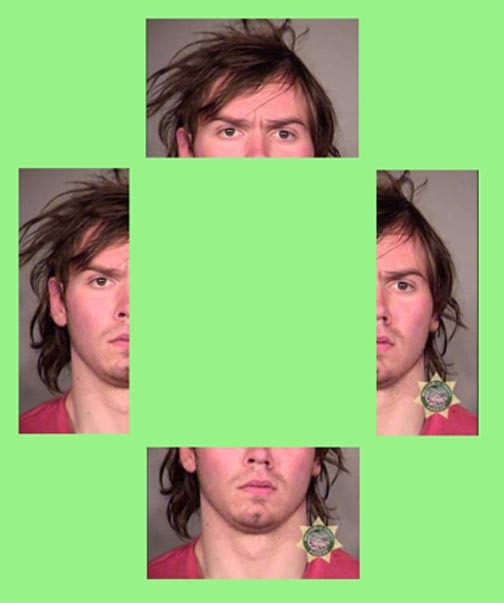 Above is a compilation I made from Nick’s police mugshot. Looking at the parts of his face reveals multiple vulnerabilities, obvious youthfulness, fears and anxieties. It humanizes the mugshot below. In parts of his face, we see a young man; some mother’s son. The police mugshot only shows a criminal. Is it the police’s fault? Whether or not Davis was in a state of delusion, or just surprised by two men on his woodsy path, and trying to protect himself, is moot. He is dead, summarily executed for his reaction. Whether he deserved to die is also moot. Apparently, the police believed he did. The world is dangerous; with delusional people on pathways. Perhaps the ultimate responsibility lies with us. One could blame the coarsening of our culture, the superficiality of our technological focus, but maybe it is just our indifference, inability, or ennui. Anyway, Nick Davis’s life will be celebrated with a wood cross, placed somewhere in the woods, maybe eventually graced by a trillium or licorice fern, probably off the beaten path, eulogized by some unknown and soon to be forgotten person. It could be an obstruction for some bicyclist or hiker. Even a nuisance for a family picnic. After all, they pay taxes. Close friends of a man shot and killed by a Portland Police officer Thursday morning question whether deadly force was necessary to subdue the man. Brandon Mitchell, who has been friends with 23-year-old Nick Davis since grade school, said Davis suffered from bipolar disorder and schizophrenia but was not a violent man. “He just needed support and needed people to help him,” said Mitchell. Officers confronted Davis, who is homeless, after a call for an assault near SE Foster and 103rd Avenue Thursday morning. They said Davis then brandished a crowbar and advanced toward them. While retreating, one of the officers fell, and Davis continued swinging the crowbar, so the second officer fired his weapon, fatally wounding Davis. Mitchell said he believes officers should have tried less drastic measures to subdue his friend. ‘Pepper spray him, tase him, or do something just to disarm him. They should not have shot him,” said Mitchell. On Saturday night, Mitchell and a handful of Davis’ other friends placed a wooden cross, pictures and candles near the area where he died. wkigerl on What is a Neurofool? reretired on What is a Neurofool? NYC Mayor Bill De Blasio.